A246E case repair from Omega Machine & Tool Inc.
Omega Machine has developed a center bearing repair for the A246E Toyota transmissions. 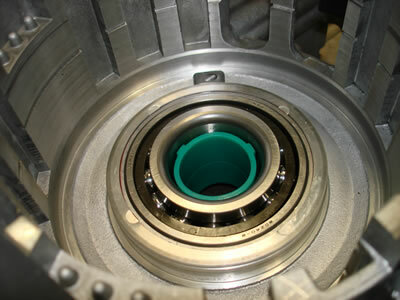 The one piece bearing race becomes loose in the case and requires a large one piece sleeve to stabalize the area. We usually are able to repair these in one day.